Paying attention to your "gauges"
I recently met with a friend who shared with me how shocked he was that “all of a sudden,” his marriage fell apart. I can’t tell you how many suicide funerals I’ve done where the family and friends stood in wonder of “what they should’ve done to help” and how many young people I’ve visited in the hospital who has suffered some kind of health ailment due to poor eating and zero exercise. I’ve seen people go through a nervous breakdown and have anxiety attacks because of stress and other factors. I see people who are lost spiritually. I’m sure you have similar stories. We all know someone in these categories or even worse, it could be us. We all know that marriages don’t “all of a sudden” fall apart, it happens over time…little by little. The hurt, the brokenness, and the pain, go unnoticed and the result over time, is the fall. Suicide is an epidemic and being healthy is one of the greatest struggles in our nation. We live in an emotional unhealthy world, and many people are so far from God, they can’t even see any hope ahead. Even as Christians, we have issues we don’t like bringing up or visiting. The sad thing is that we are okay with burying it so that we can move on and “live.” That’s not living, that’s surviving. I thought, there must be some way for us to prevent these things from happening, or at least, do better than what we’ve been doing. So, I thought about it this way. In order for me to drive my car, I will need to have fuel in the tank, oil in the engine, and other necessities needed for my car to go. I will not know if I have these necessities unless I have a way to monitor them. Well, the good news is that we monitor these necessities by the gauges on our dashboard. To see how fast I’m going, I check my speedometer, to see how I’m doing on fuel, I check my gas gauge. If my oil light comes on, I need to change the oil, not cover the oil light with a piece of tape or pull out the bulb! The gauges and lights of our dashboard is not the issue, something under the surface of the hood is the issue. But I won’t know what is happening under the hood unless I pay attention to the gauges. Here’s something a team of us have been working on to help us get healthy. It is an app called inGauged (Download from the App Store. Android coming soon). Can we partner together to see how we can make this app better so that we help each other become healthier spiritually, physically, emotionally, and mentally? I would appreciate your input and suggestions for improvements (email me: sheldon@newhopehilo.org). I believe we will only become healthier and reach our fullest potential when we do this together! Many of us are in full swing in preparing for Easter. For most churches it is still one of the ‘big” Sundays with all kinds of special plans being made to welcome the community into our church homes. Yet all this extra preparation often takes a personal toll on leaders and teams, and this creates a tension. The tension is how can one enter the Easter season personally prepared and/or how can the impact of Easter can be extended in one's life. Consider these two approaches from church tradition: Lent and Eastertide. Eastertide is a much less known season in the church. It is the period of 50 days that occurs between Easter and Pentecost. This spiritual discipline invites one to live in the miracle of the resurrection. Its focus is on forgiveness, servanthood, kindness, and justice. The thought is that in the intentional practice of these things we acknowledge "the power of God at work when He raised Christ form the dead…” (Ephesians 1:20) and that He “has made us alive….and raised us up with him…” as a show of the richness of His grace in kindness towards us (Ephesians 2:5-7). In this way, we intentionally prepare ourselves for a fresh release of the Holy Spirit in our lives. As we prepare for Easter, let’s not only prepare our facilities and programs. As servants, let us prepare ourselves for the celebration that come with and as a result of the resurrection. One of the beautiful things about our district is the diversity of our churches and servant-leaders. This is also expressed through the various contexts for worship in our local churches. This month, I’ve asked four worship leaders from different sizes of churches for their favorite resource for new songs, essential piece of gear, and the one thing they try to keep in mind for leading worship in their context. Each of them welcome continuing the conversation with you, so feel free to contact them with any questions or comments! Best resource for new worship music? My favorite resources for new worship music is SongSelect (http://songselect.com) and Multitracks (see below in Tiffa Garza’s contribution). Both provide videos and resources to equip you and your worship teams. From free downloads via song of the month or chord charts and current top 100 songs, both that are already out or are coming out. The videos range from tutorials to special performances, as well as "behind the song" so that you really get a sense of where the writer and the song are coming from! Both of these keep up with various resources and the most current songs and tracks being released! Favorite piece of gear/resource to facilitate worship? The one practical thing you think about when leading worship in your context? I think its important to being constantly aware of where the focus is supposed to be. We need to have a balance of "God" focused songs to "I" focused songs. Who is the REAL focus of our favorite worship songs? Are the songs we choose ascribing worth to ourselves? Or are the songs ascribing worth to God? So many of the songs we use focus on how great my life is because of God. While these true and important to sing, if our ENTIRE set revolves around ourselves (me, I) then we are missing the most crucial aspect of our services...ascribing worth to/worshipping God! When it comes to finding “New” worship music my go-to is www.multitracks.com. The founder, Phillip Edwards says, “We're always creating and innovating towards a simple goal: to build an ecosystem of products for worship leaders that helps them lead their teams well.”And they truly do just that! I can see when new songs are added and can listen to the latest, most newly released, current worship music. I also follow various worship leaders on social media. Bands like CROWDER, BETHEL, ELEVATION and HILLSONG UNITED usually give a heads up on any upcoming release. I pre-order the album and then when it’s ready and downloaded I listen to every, single song and see if there are any songs that could resonate with our church family. Currently, we’re loving HILLSONG Y&F’s song, HEART OF GOD. Our Church has connected to that song in 2019. My favorite piece of gear is the wired, Neumann KMS 105 microphone. It’s like taking the quality of a studio mic to the stage. I LOVE IT. Dynamic range, from a whisper to a roar, shows clarity and vocal definition through the sound system. ANY vocalist will hear a big difference with this mic. This may sound funny, but one of my best resources for new music is the circle of people around me. Oftentimes, I'm introduced to new songs by my wife (who is ALWAYS listening to new worship much) or those with whom I serve. We have taken a team approach to finding new music for our congregation. There are so many great resources out there to help facilitate worship. One of my favorites is Worship Online (https://worshiponline.com/). This website makes it so easy and convenient to learn new songs and to really refine every team member's ability to learn and play specific parts within a song's arrangement. Any vocalist or band member will benefit from creating an account here and making this part of their regular practice and preparation for leading worship. I always have a goal in mind when leading worship, which is that we want to take people somewhere as we lead them in worship. We don't just want to aimlessly or flippantly spend time singing songs, but rather we want to be intentional in leading people into the presence of God and having a transformative encounter with Him. I personally have used the term "Destination Worship" to signify that intent of leading people into a specific place in our corporate times of praise and worship. Renewing Worship is an all-in-one site, offering resources and events, as well as aggregating the 20 most used songs from each week in church worship. (https://www.renewingworshipnc.org/top20/) Plus, my daughter, Carina Greer, is my ‘go to’ resource for what’s singing well in congregational worship. Favorite piece of gear/resource to facilitate worship: ONSONG App(https://onsongapp.com/) and AirTurn Bluetooth Pedal, which advances songs and turns pages (https://www.airturn.com/products/categories/Bluetooth+Pedals). Since using the ONSONG App on our iPads, our worship team has completely gone away from all printed music. This versatile app holds our complete Library of songs and you create individual sets for each occasion, which can then be saved, synced and shared with each team member. (Songs are easily downloaded into the app from various sources.) There’s simply too much the ONSONG App will do to list here, but in my opinion it's a MUST for worship leaders and worship team members. Also, as a guitar player, my AirTurn Bluetooth Pedal has become indispensable to me. It is synced to the iPad and ONSONG and advances or reverses the music via of a foot pedal. I never have to take my hands off the guitar to advance a song or turn a page. I think it is important to consider the “flow” of worship - how songs fit together by the elements of key, dynamics, and theme. My greatest desire is to bring people into God’s presence, not just sing a set of individual songs. I seek to do this by connecting and transitioning the songs from the beginning to the end of the set, applying all the elements listed above. Psalm 16:11 reminds us of the source of joy: "You will show me the path of life; In Your presence is fullness of joy; At Your right hand are pleasures forevermore.” Joy is directly connected to our awareness of His presence in our lives. I think is is why Moses said to the Lord "“If your presence is not going with us, don’t make us leave this place” (Exodus 33:15 GW). Nehemiah understood this as well. He encouraged the people as they were mid-way through their rebuilding project with the reminder, “the joy of the Lord is your strength” (Nehemiah 8:10 NIV). Improving in this new year may require for you to look at the projects and plans before you and asking the Lord if the is joy in it. If so, you’ll have the strength to complete it and the promise of His presence through it. There’s nothing better than the celebrating the Christmas season with our church family! There’s also something about the new year that also is inspiring as we envision the great things that God has for our congregations in the new year. As wonderful as this time of year is, it also requires some important administrative tasks to keep us on track. Do you (like me) fall behind on our Hub reports? Maybe catching up on them will also inspire you as you review what God has done through the church in last few months? Are your giving records up to date? Making sure you’ve maintained good records will encourage you as you see how generous people are and how faithful God has been. For many of us, its important that we not only make time to pray about where God is leading us but also about how we can best facilitate and “ad-minister” that vision. These resources will help prepare us for the new year. (BTW, I’ve found that in our context, a budget review every quarter is really helpful. Our January council meeting will set the budget for Q2 - April-June. This allows us to be responsive to the income trends and have some planning/prep time as well). Praying with you for a grace covered, favor-filled year! We know that the holiday season is a prime opportunity to connect with our community. Often our outreach energy is directed towards events that ask them (the community) to come to us (the church). What are some things that we can participate in that allow us to go meet those in the community who can also use our help? Here’s a couple of things to get the ideas flowing…And if you have a good idea to share about what your church does, please leave it in the comments! Angel Tree is a program of Prison Fellowship that connects parents in prison with their children through the delivery of Christmas gifts. In most cases, local church volunteers purchase and deliver gifts and the Gospel to children in the name of their prisoner-parent. Many churches make an annual commitment to this highly rewarding program, and recognize it as a way to care for some of the most overlooked members of our communities, continuing to connect with these families through the year. Founded by Foursquare pastor Michelle Hoefflin, Comfort In A Box is an organization that provides a little “Comfort” for each mom during her stay at one of the Southern California Ronald McDonald Houses. Each box of comfort contains a blanket, a pair of slippers and a bottle of all natural lavender lotion. The Ronald McDonald Houses provide a safe, welcoming and warm home-away-from-home for families with seriously ill children receiving treatment at a nearby medical facility. Churches can host a “Box Party” supplying and assembling the items and readying them for delivery. Churches can also participate in the delivery of the boxes to the appreciative caregivers. FAM is one of many organizations that provides a Thanksgiving meal (along with one to go) to those who would go without in South Orange County, CA. This outreach not only serves those who are hungry, but also those who have no one to share the day with. These are just a couple of examples. I hope you’ll post some ideas that might inspire others of us to take and extra step to connect with our community. It can be as simple as asking, “what is the need in our community?" Are there elderly folks who find themselves isolated and lonely in the holidays? Are there families who have a member chronically ill or facing a consuming challenge such as chemotherapy for cancer or dialysis? Maybe there are foster care kids in your areas that need to experience an expression of God’s love? Jesus came to us. Let’s live that way this holiday season by going out to our communities, and not simply settle for asking them to come to us. This is the opening statement for Article 14 in the Declaration of Faith for the Foursquare Church. Even more significant is that healing is one of four cornerstones our foundational ministry convictions. Yet, in the ever changing challenges we face doing ministry in our culture we are rediscovering a need for healing for the whole person: the soul, as well as the spirit and the body. Effective churches have always been quick to adapt to the needs of the culture around them. Studies show that when people are struggling with mental illness, the first place they call is the church. Let’s be ready to provide the kind of care to our communities that the church has always responded to. In this simple, 10 minute video, licensed mental health counselor Kristen Kansiewicz provides an oversight of the different kinds of anxiety disorder that we may encounter and offers suggestions on how we can respond. Kristen Kansiewicz, LMHC, offers some simple suggestions for making sure our church is a place for people to find hope and healing. Dr Hart offers a good overview of the stages of depression, along with identifying some of the hazards of ministry that easily cause depression. Dr Lovejoy helps pastors identify the markers of depression as well as assertive ways to address the critical issues that may be it’s cause. For many pastors, preaching is a passion. The discipleship provided from the pulpit on Sunday mornings is the most visible aspect of the church’s ministry. It would make sense that the preaching offered in our churches should always be improving and getting better. It begins with the basics. NBA MVP Steph Curry has a 20 minute routine that he performs before each game. It focuses on dribbling and shooting. Many of the drills he does are drill taught to children who are just learning how to play (see it here - https://www.youtube.com/watch?v=5mQGA1_7yTk). Mike Trout, generally regarded as the the best player in baseball for the last 5 years, hasn’t been taking pre-game batting practice on the field at all this year, opting instead for hitting balls off a tee and soft toss in the underground batting cages (https://youtu.be/mGqsNkq_fpE?t=5m1s). Both of their routines focus on bringing things back to the basics, keeping things simple, and a belief that repetition creates success. What are the basics for preaching? It begins with prayer, our daily meeting with Jesus. It’s also being in the Word, so that we can receive a word to encourage and equip the people of God. Yet, beyond that daily spiritual work, what the basics of being a good communicator? 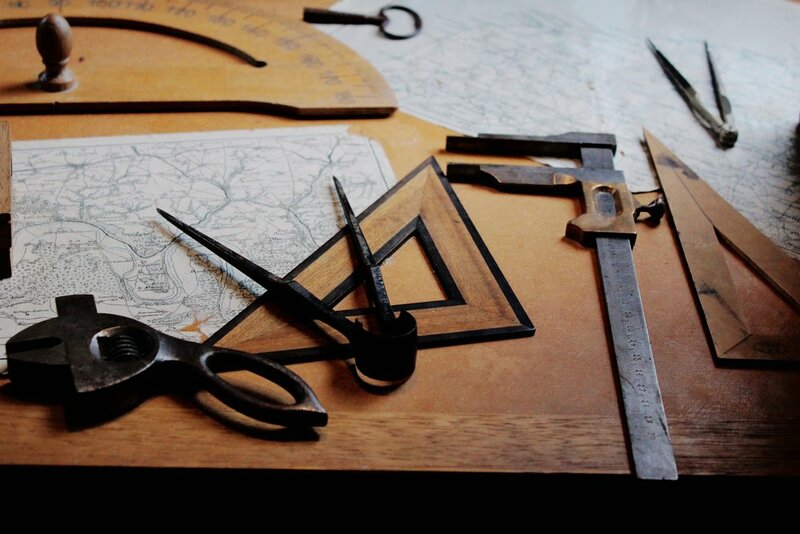 These resources may help you improve your skill to an MVP (most valuable preacher) level. In Communicating for a Change, Andy Stanley and Lane Jones offer a unique strategy for communicators seeking to deliver captivating and practical messages. In this highly creative presentation, the authors unpack seven concepts that will empower you to engage and impact your audiences in a way that leaves them wanting more. Leaders don’t often see the concepts from Sunday’s message applied in people’s lives to help the accomplish Jesus’ mission. Why? Because people’s heads are swimming with too many little ideas, far more than they can ever apply.The Big Idea can help you creatively present one laser-focused theme each week to be discussed in families and small groups. Chris Anderson is the Curator of TED, a nonprofit devoted to sharing valuable ideas, primarily through the medium of 'TED Talks' -- short talks that are offered free online to a global audience. In this video, Chris shares the four most important key to making a presentation that is not only memorable, but actionable. Creating great slides doesn't have to be difficult, and with a few simple rules and some guidelines to follow, the impact of your message will be multiplied and more memorable. Counseling resources to save you time! I promise to save you time! Can I give you a gift of 12 more hours today to use any way you want? Asked another way: Could I lessen your “counseling load” by 50% or more? If you are a pastor that has to counsel others, be they leaders, pre-marrieds, marrieds or general church member, this Improvement Article is for you! I have two resources that have saved me 50% and more in my time of counseling. The One Week Intensive for Counselors is a one week training workshop for psychologists, therapists, counselors, pastoral caregivers, and those in helping roles. https://growthskills.org/workshops/one-week-intensive/ For over 20 years, Christian clinical psychologists Drs. Cloud and Townsend have used their biblical nature of the growth model to help millions to resolve depressions, anxiety disorders, addictions, character disorders, trauma issues, relational struggles, family dysfunctions and career problems. There is no other training I know like this. In a short time, I learned to diagnose and identify particular issues using the growth model, and experienced true healing for myself through relationships and structure. I now use this in EVERY one of my counseling sessions and feel confident to walk many to health and long-term restoration. In this training, diagnosis and ability to treat from a biblical view has been fruitful and time saving (50% or more). Check out the testimonies. Next workshop March 25-29, 2019. Want more info? Call or write me: Kiha Pimental, 808 561-5967, Kpimental@foursquare.org. We’ve all been educated on the significance of Sabbath, but the practice of self-care is a difficult spiritual discipline to implement. 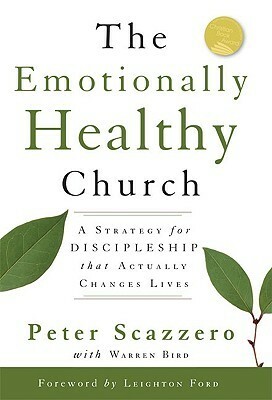 To quote Pete Scazzaro (The Emotionally Healthy Leader) - "The overall health of any church or ministry depends primarily on the emotional and spiritual health of its leadership. In fact, the key to successful spiritual leadership has much more to do with the leader's internal life than with the leaders expertise, gifts, or experience.” Creating space for solitude and silence, along with reflection and refreshment, is crucial to the leaders’ personal well-being. This month’s “improvement” section provides information about personal pastoral retreats. Pastor Sabbatical Retreats (PSRs) create intentional space to relax and listen to God, alone and together, with a few other pastor couples. PSRs gather at a relaxing, executive level retreat spot that is inspiring and conducive to tuning into God’s voice through gently-guided sessions of silence and solitude, along with some marital and group work. There are times of worship and always plenty of laughter and fun. They are 4 days / 3 nights, begin at lunch on the first day (after morning travel) and end after lunch on the fourth day. The costs of the retreat vary based on locations, but are supplimented by the district. The next date is TBA. For more information - https://www.pswchurches.com/pastors-sabbatical-retreats/. The author of An Unhurried Life and An Unhurried Leader, Alan Fadling and his wife Gem guide leaders through a 3 day / 2 night experience of solitude, silence, and prayer.It is designed to help leaders step out of the life in the fast lane and learn the rhythms of Jesus. This experience helps to recalibrate leaders to lead others form a deep, abiding connection with the Lord. The next retreat will be June 20-22 at Prince of Peace Abbey in Oceanside CA. Cost is $349. A simple internet search for “pastoral retreats” produces numerous results. There are some locations that allow for pastoral leaders to getaway for counseling and care, personal sabbaths and study. The Christian Hospitality Network (http://thechn.org/) is a resource that provides links to accommodations and pastoral care retreats in the US and around the world. Some are free and others at a significant discounted rate. Some facilitate a specific program while others are self-directed (lodging only). A few that are located within our district boundaries are listed below. The facilities listed below are examples of what is available, not endorsements by the District. Shepherd’s Canyon Retreat offers seven carefully designed days of individual, couple, and group Christian counseling. The emphasis is upon Christian professional church workers including, but not limited to Pastors, Missionaries, church staff, etc, and their spouses. Pepeekeo Point Resort is a place of rest for those serving ther Lord; a place to receive new strength, hope, and direction, and a place to help others continue with the Lord's work. The Pepeekeo Point Resort, located only 10 miles north of Downtown Hilo on the Hamakua Coast. The resort grounds are comprised of roughly three acres with direct ocean frontage. Rates and reservations are made via phone only - (808) 964-8508. Its said that “leaders are readers.” I often like to ask peers what they are reading, and why they are reading what they are reading. In this month’s IMPROVEMENT section, we get to meet three leaders, serving in different roles in different places. Find out what books (other than the Scripture) have had the most influence in these three leader’s lives, and why they recommend them. As a child who grew up in church, I can't identify the moment I gave my heart to Jesus. I do know that when I was in third grade my dad offered me a reward system for reading challenging works. The first assignment was a full version of The Pilgrims Progress. For the first time, I had deep understanding of my need for Jesus and the struggle I faced as a lost person without Him. I found myself confronting my own inner “Christian” and committing to a journey of following Christ. This book confirmed by commitment as a disciple of Jesus Christ. This book consistently calls me back to the basics. When I have overcomplicated my routines before the Lord or slipped into a dry, performance driven rut, this reminds me of value of spiritual disciplines. As a person who resists practices that feel “religious”, it is easy to devalue the practice spiritual disciplines. This book broke that cycle in my life. Even as a “people person" I find myself lonely and isolated. This book reminds me reaching in to maintain personal health, Reaching out to others to grow in relational health and reaching up to the God as my source of health and strength. Hardship and difficulties in ministry are plenty. 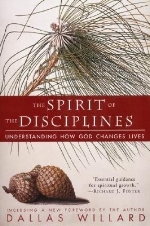 But the spiritual disciplines that help us to pursue God and persevere are invaluable to continue serving him. Knowing the bible is great, but if we are not living balanced lives than we are still immature. 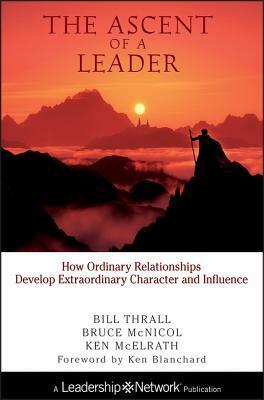 This book challenged me to look at other aspects of my life and leadership, especially in the area of emotional maturity. If it is true that we lead out of who we are, then character counts for much more than we realize. This book presents two very different ladders of success and challenged me to examine which I am climbing. Relationships of grace are paramount to developing character as a leader. 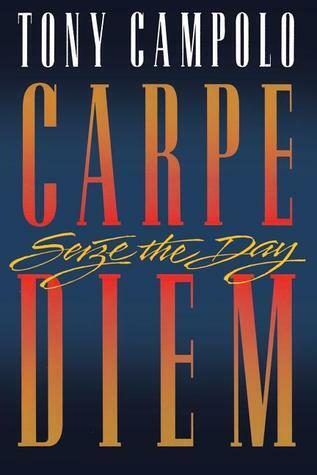 First book that comes to my mind that helped me to take risk and embrace everyday with passion and purpose. I had a few bible studies with Tony Campolo in the early years of my ministry and have a few stories of my own that looking back now were started listening to Tony’s stories. Working in young adult ministries over these past 20 years, Wayne’s book has been a must read for all my interns. No greater mentors and relationship to cultivate than the men and women of the scripture’s. A common ingredient for success of great leaders is the ability for them to seek after mentors. 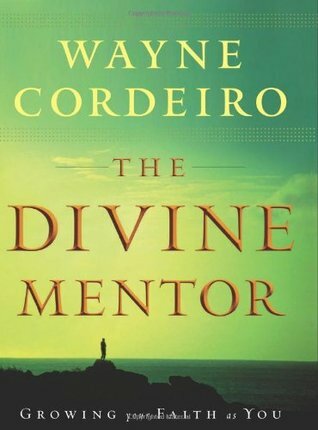 Wayne helps those looking for mentors to find it in the scriptures themselves. I have passed around my copy so often I’d like to get it back. Francis has raised the bar of what it means to put love into action. People are to follow us as we follow Christ. Crazy Love has helped me to focus on one thing. Not just study the teachings of Jesus Christ but to follow through with them. You will not read the bible the same, since it’s not a book just to be studied but lived out. Two things are key to improving: information and inspiration - we have to know what to do, and be motivated to do it. This month’s IMPROVEMENT tools will do both. Data: “Are Young People Really Leaving Christianity?” by J Warner Wallace. 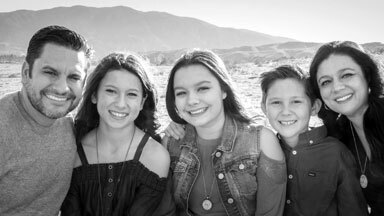 J Warner Wallace, former detective for the Torrance (CA) Police Department and author of “Cold Case Christianity,” summarizes the results multiple studies and research projects on the subjects related to the spiritual views of teens and young adults. A very helpful tool to get an overview of the subject and to find additional resources that dig deeper into the the topic. Pivot is a Christianity Today blog by pastor and author Karl Vaters. He writes about church health and innovative leadership from the perspective of small church. Karl has served as the senior pastor of Cornerstone (Assembly of God) in Fountain Valley for over 25 years. His experience of leading a small, healthy church led him to write “The Grasshopper Myth.” This weekly blog encourages, challenges, and resources leaders of small congregations. Aplos Accounting is a simple, online accounting software that allows a church to confidently manage their books. Simple to learn and user friendly, Aplos is a cloud based application that is specifically designed for churches and non-profits. It features true fund accounting, integrated budgeting tools, customized reporting, and more. Foursquare is working with Aplos to become a preferred service provider and offers discounts to Foursquare churches.